Green Primary – pioneering work is hard, but worth it! Last week, the first Europe-wide primary election – the so-called ‘Green Primary’ – came to an end. For two-and-a-half months, Europeans over the age of 16 who support the Greens were able to take part in an online vote to select two Green lead candidates for the European elections. Around 23,000 Europeans participated in this democratic exercise, selecting Ska Keller (Germany) and José Bové (France) as the Green representatives in the race for European Commission presidency. A lot has been said in the media across Europe about the Green Primary. In fact the European Green Party has never received so much media attention as it has over the last few months (and particularly last week). Some media portrayed the Primary as an innovative and courageous democratic project. Others called it a failure due to the number of participants. Indeed, some aspects of the Green Primary need to be reflected more thoroughly and we need to analyse the process and the outcome to provide a broader picture of the state of European democracy. It is true that participation was below expectations. But let’s get the benchmark right: we are not measuring ourselves against the entire European electorate (even though some media did take this approach). A better measure is Green parties in the European Union, which have a membership of roughly 150,000 people. Some of these parties are rather loosely organised, without strong national coordination. Party members were obviously the primary target group and the share that participated in the Green Primary is not so far away from participation rates in primaries of national parties. Instead, the lower-than-expected level of interest seems to reveal a more general problem. Until now there has been no broad (national) public debate on the role of these European ‘presidential’ candidates. The provision in the Lisbon Treaty was interpreted as an attempt to make the EU more democratic and the European Parliament elections more meaningful. But when does the media and European leaders intent to start a real debate on who will be the next Commission President? Or is there an interest in keeping this debate as low-key as possible to keep the door open for alternative methods of decision-making? The EU will loose even more credit and trust if we fail to involve the citizens once again, in a meaningful way, in this important decision about Europe’s future direction. In the Green Primary, we had to ensure – for good reasons – that voting was not as easy as clicking ‘like’ on Facebook. We recognise that less online-savvy voters might have found it more difficult to participate than others, but it is important to note that the large majority of people who encountered a problem and approached the Green Primary helpdesk were helped and able to cast their vote. The system’s design also enabled us to detect multiple registrations and prevent those people who had already voted from casting a second vote. The use of modern technology played another major role in the whole process. While the four candidates were travelling to ten European capitals to debate on-site with an average of 150 people, many more people participated in these debates by watching livestreams and engaging on Twitter. For example, around 300 people from 19 countries followed the Primary debate in Berlin in early January. On the podium, the candidates did not only answer questions from Berliners, but also those from people tweeting from the Netherlands, Spain and the United Kingdom. In one of the online ‘hangouts’, almost 1,000 people from 43 countries participated. Again, the numbers of participants must be compared to the number of Green supporters in EU member states – but no matter whether it was large- or small-scale, the Green Primary managed to create a pan-European debate. This is exactly what we need to involve people more in European politics and build a sense of community among Europeans. Pioneering work is always hard work. The Green Primary was a first step in the right direction. Clearly, Europe needs more of those initiatives. If we dismiss it as a failure, we only serve to legitimise those who want to keep the doors of European politics close to the public. If we are not looking for new ways to involve the European people, we will never make them the owners of a common European future. Instead, we will remain within the constraints of a sum of national perspectives. The campaigns of the European parties are now the next chance to Europeanise the debate. The European Greens will contribute to that goal by running the party’s third common campaign. 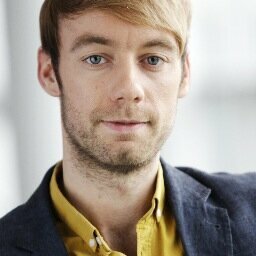 Johannes Hillje is Campaign Manager for the European Green Party.